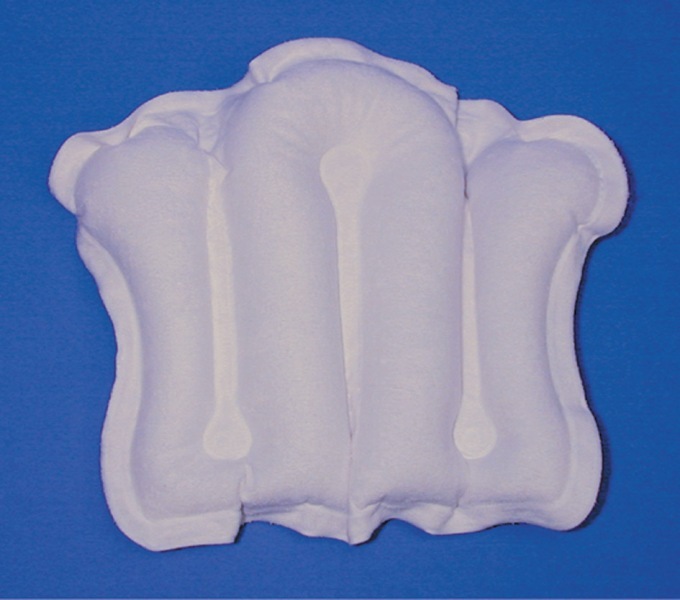 Inflatable bath pillow for people who suffer from pain due to the pressure between the back and the bath. This pillow is made of PVC, covered with a fabric for theshower. This gives mitigation between the bath and skin. Four suction cups ensure that the pillow does not slip.